You can also read this book on Safari Books Online. To see in more detail what topics are covered in the book, you can view the Table of Contents. 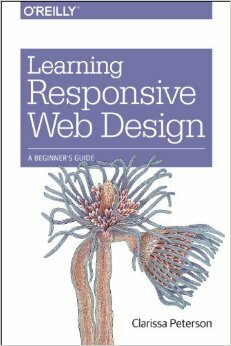 If you are an instructor who is considering using Learning Responsive Web Design or other O’Reilly books in your classroom, you can request a free review copy. Clarissa Peterson is a UX designer based in Calgary, Alberta. She frequently speaks and gives workshops on responsive design and user experience, and also teaches in the web developer fast track program at the Southern Alberta Institute of Technology (SAIT). Clarissa is the author of Learning Responsive Web Design: A Beginner’s Guide (O’Reilly Media). If you have the book and want to see how the two example websites from the book respond to changes in viewport size (without having to type in all the code yourself), you can view the example sites as they appear in each step throughout the book. They are listed by the corresponding figure number of each screenshot.